In the post-Soviet countries, there is no single document that would regulate the issues of HIV prevention, diagnosis, and treatment for migrants as well as their legal status. Migrant workers do not get the adequate services in the countries where they work which inevitably leads to the decline of their health status and to the growth of the HIV epidemic in the region. This message was the main one in the discussion at the sub-regional technical seminar in Astana, Kazakhstan on February 19-20, 2018. The event was organized by the United Nations Population Fund (UNFPA) in cooperation with the Joint United Nations Program on HIV/AIDS (UNAIDS) with the support of the Ministry of Foreign Affairs of the Kingdom of the Netherlands. The seminar became a platform for a dialogue between representatives of governments, international and non-governmental public organizations from Kazakhstan, Kyrgyzstan, Tajikistan, Turkmenistan, Russia, Uzbekistan and interested regional partners. “The incidence of HIV is predominantly stabilizing around the world. Even if the indicators are very high, they do not grow. However, in Central Asia and Eastern Europe (EECA), HIV incidence is increasing. HIV is not a problem of marginalized groups only. HIV is closer than you think. 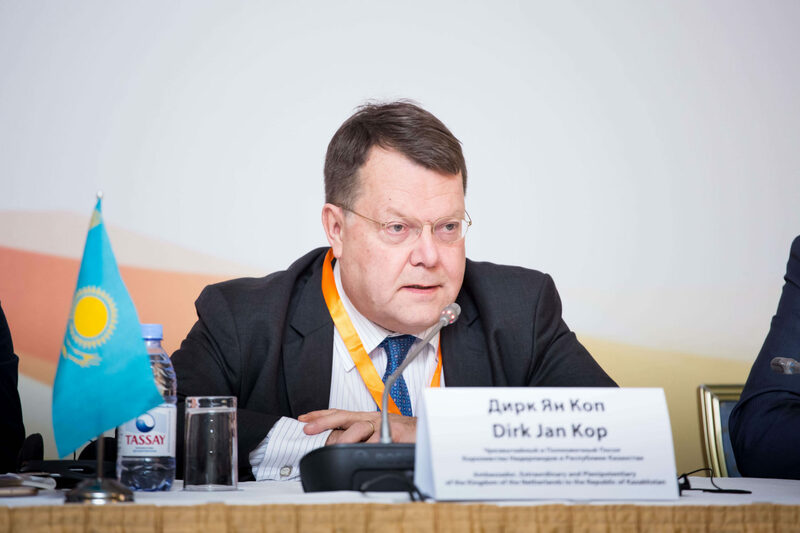 It must and can be stopped, also it must be stopped in Central Asia,” says Extraordinary and Plenipotentiary Ambassador of the Kingdom of the Netherlands in the Republic of Kazakhstan, the Kyrgyz Republic and the Republic of Tajikistan Dirk Jan Kop. This concern was supported by all the participants after considering the situation, strategies used in different countries, best practices, main priorities for the effective response to the HIV epidemic among labor migrants. Labor migration and HIV prevalence are increasing. This already became a stable trend of the region. There are numerous examples where migrant workers with HIV have no access to antiretroviral therapy in the places of temporary residence. Legislation of some countries provides for the deportation of foreign citizens with HIV. Migrant workers often experience stigma and discrimination. “Recent epidemiological surveillance data in Uzbekistan and Tajikistan have shown that the prevalence of HIV among people returning from labor migration is 2-4 times higher than among the general population. 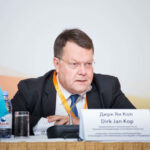 Migrant workers from Central Asian countries face serious challenges in access to the full information and adequate HIV prevention, care and treatment services,” said UNFPA Regional Director for EECA countries Alanna Armitage. Experts unanimously admit that better access to HIV prevention and treatment in Central Asian countries is the key to elimination of the HIV epidemic. In 2018, HIV-positive migrants in Kazakhstan begin to receive aid with the support of the Global Fund to Fight AIDS, Tuberculosis and Malaria. Treatment and laboratory testing will be provided to 150 people. “Kazakhstan is a country with a low HIV prevalence. Last year, more than 16,000 foreigners were tested for HIV. 0.2% HIV cases were found. If we take the vulnerable groups only, this figure among foreigners will reach nine percent,” says the vice-minister of health of the Republic of Kazakhstan Lyazzat Aktayeva. In a country where migrants with HIV do not have to be deported, 61 thousand people were tested. This is a heavy burden on the national budget. So far, migrant workers have no legal status and opportunities to receive even a minimal medical service are very limited. Therefore, we need new strategies for working with this category of the population and not only within a single country. The participants called the seminar the first shot in the battle for an overall strategy for the prevention, diagnosis, and treatment of migrants in the post-Soviet space. The creation of a special structure located in Russia as the biggest receiving country of migrant workers was approved to regulate this process. Recommendations of the seminar will be presented for discussions at the forthcoming international conferences on HIV/AIDS, which will take place this year: The VI International AIDS Conference for Eastern Europe and Central Asia (April, Moscow) and 22nd International AIDS Conference AIDS 2018 (July, Amsterdam).